Hand Dyed Printed 30 count linen called Prim Bee , from the Primitive Hare. The piece measures approximately 16" x 17". It is hand-dyed by The Primitive Hare in Italy. Please do not wash after stitching. 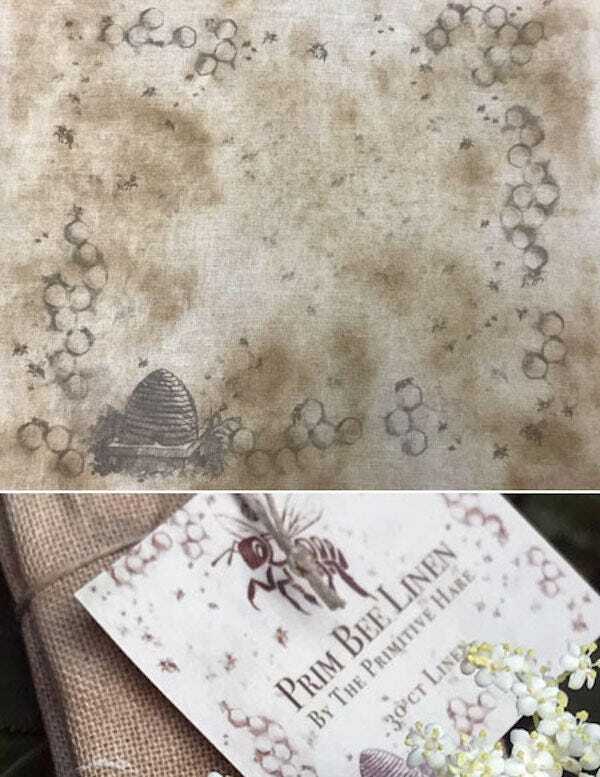 On this precious linen you can stitch all the bee patterns you want, there is plenty of space! Perfect linen for your stitching needs! New Unused from our Shop.